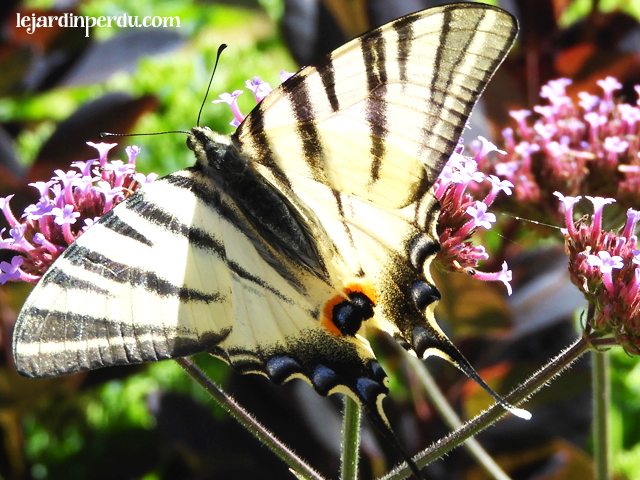 I originally wrote this blog post about the Scarce Swallowtail butterfly back in 2012. 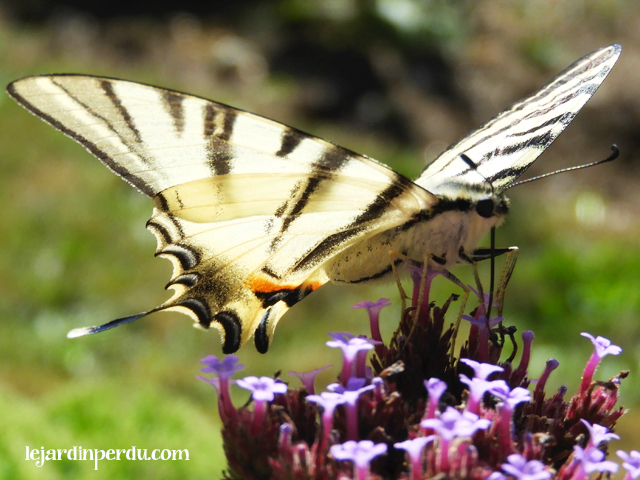 Six years later I’m excited to report that this summer, for the first time, Scarce Swallowtail butterflies have been happily enjoying the lavender and verbena bonariensis here at Le Jardin Perdu. Although I’ve seen this beautiful butterfly elsewhere around France, this is the first time we have ever seen one in our garden. 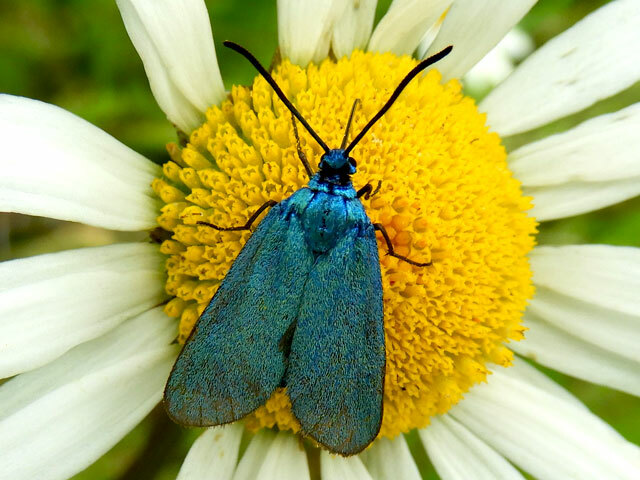 Here are a few photographs I managed to take of the stunning butterfly in our garden. 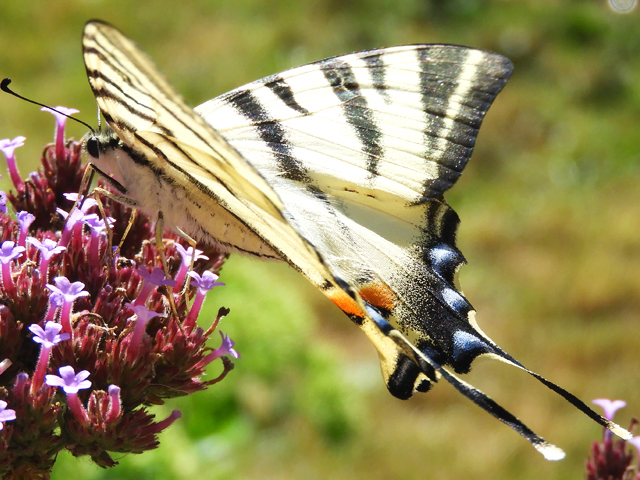 Despite its name, the Scarce Swallowtail butterfly is in fact common throughout Central and Southern Europe, and here in France it is most commonly seen in the south of the country, but rarely above 2000m. The Scarce Swallowtail frequents flowery meadows and sunny hillsides, and tends to favour blackthorn bushes (sloe), hawthorn bushes and orchards. 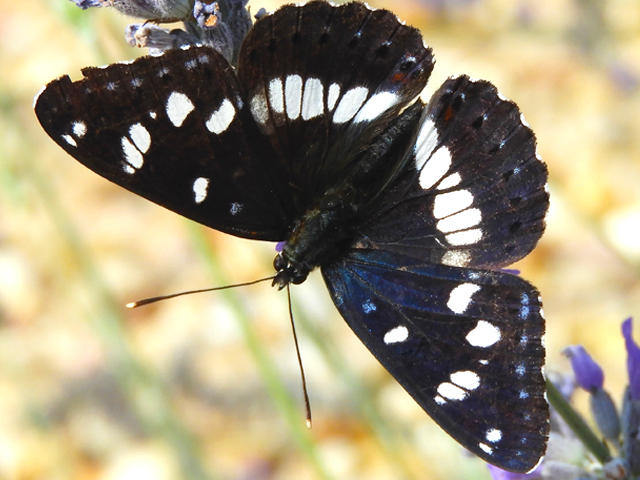 Creamy white in colour, the Scarce Swallowtail butterfly has black tiger-like stripes and a long black tail with blue crescents and red spots on the back wings. Both male and females have the same markings. They fly in late spring and mid-summer, so if you live in the South of France keep an eye out for them now. 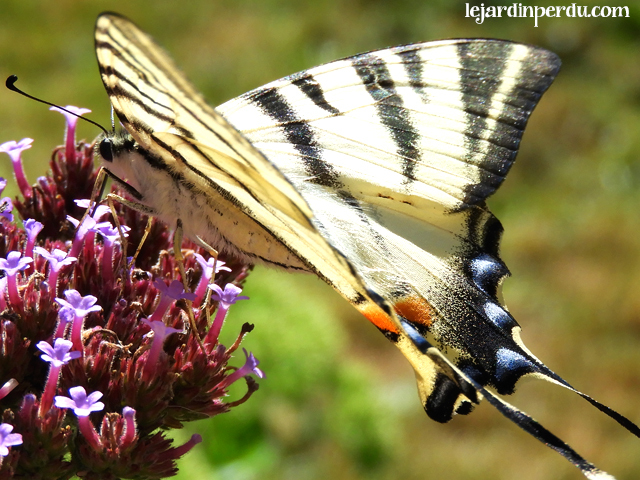 If you live in a different area of France and spot a Scarce Swallowtail I’d love to know! The below photograph was kindly sent to me by Sarah Beattie who lives in Gers, département 32 (twitter @sarahbeattiegra) – thanks Sarah! I live in north Lot et Garonne, near Duras. 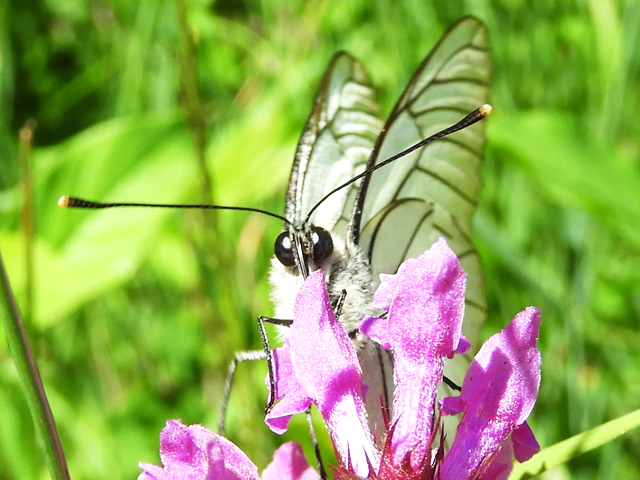 We saw a very large butterfly – probably 2.5 to 3ins across very like the Scarce Swallowtail except it seemed whiter. It had a large greenish body which could be viwed from the side. It was feeding on our lavender. Sadly I could not get my camera quick enough. Do you think it was the same or something else. 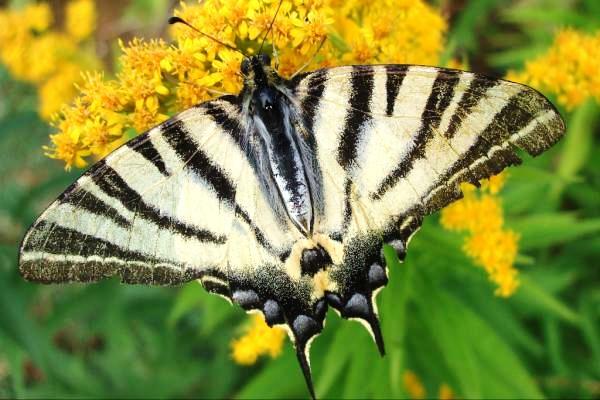 The Scare Swallowtail is very distinctive with its long tail and arching front wings. Don’t think I’ve come across anything else which looks similar so chances are it was one. Butterflies are very unobliging aren’t they?! I do wish they’d give us a chance to grab the camera, we only want a photo after all. As he’s discovered your lavender hopefully he’ll come back and give you a chance to look at him again. We get them most summers here in the north of the Sarthe. Not in great numbers, but I see the occasional one most years. In fact, there was a rather tired and battered looking one on the buddleja this morning. I have one of these in my garden as I write. He is rather sluggish and I found him resting on an azalea. At the moment he is hung on the wall and doesn’t look to be in a hurry to go anywhere. Saw one this morning 15 km north of Beziers, Herault. It sat obligingly still while I took photos.